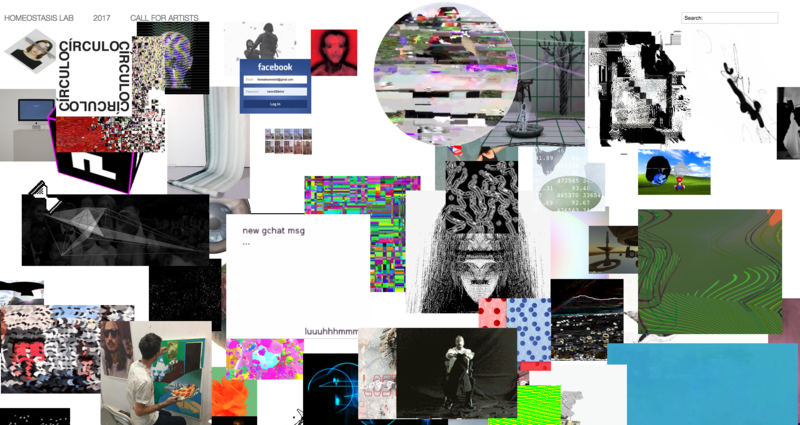 Since 2013, The Wrong New Digital Art Biennale aims to display the digital culture, open to participation, and divided into online and offline locations around the world. For this newest edition, more than 1.500 artists gathered in pavilions are showing their new media artworks. Founded by David Quiles Guilló, The Wrong is a decentralised art biennale governed by The Wrong Council and divided into online and offline locations around the world. 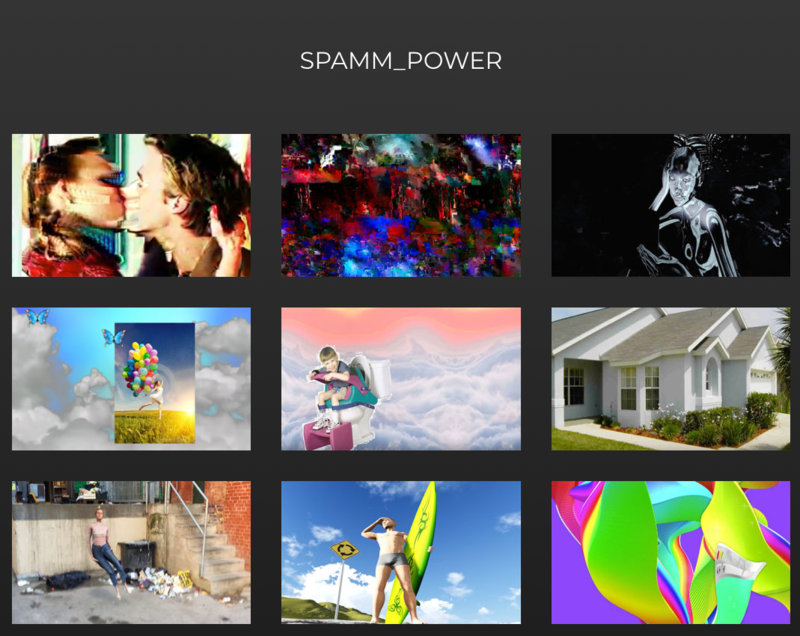 The online biennale takes place in pavilions and virtual spaces where selected artworks are exhibited. The Wrong’s philosophy is to create, promote and push positive forward-thinking contemporary digital art to a wider audience worldwide through a biennial event that gathers an extensive selection of digital artworks while embracing via instant radical inclusion the young artists and curators of today’s exciting digital art scene. Here is our selection of must-see pavilions during The Wrong New Digital Art Biennale 2018. This bienniale is on view until January 31st, 2018. Curated by Ellectra Radikal and Michaël Borras A.K.A Systaime, « ϟℙ∀ℳℳ▁ℙϴШ€ℜ » identifies the paths that artists plot on social networks to the convergence of several digital disciplines, to identify the links between the different groups of practices and researches. 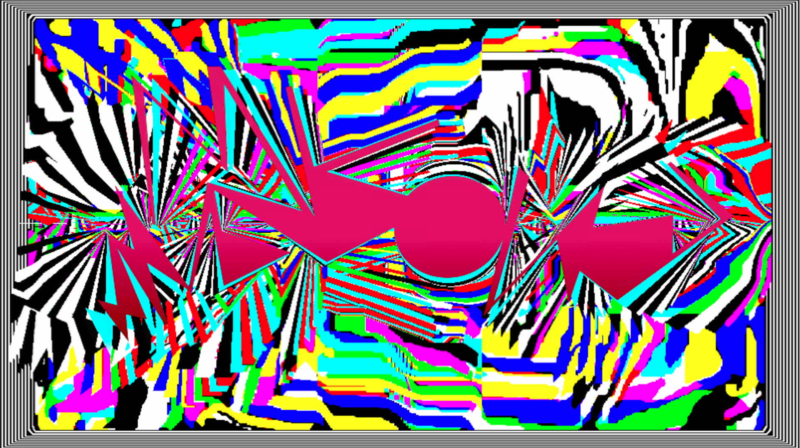 “Autocomplete (Demo)” by Benjamin Gaulon emulates your mouse and keyboard. The software (built with Max/Msp), moves the user’s mouse to the Spotlight area, searches for Safari, opens the application, starts a new tab, types “www.google.com,” and writes search queries randomly from a database which is then autocompleted by the Google Autocomplete function. 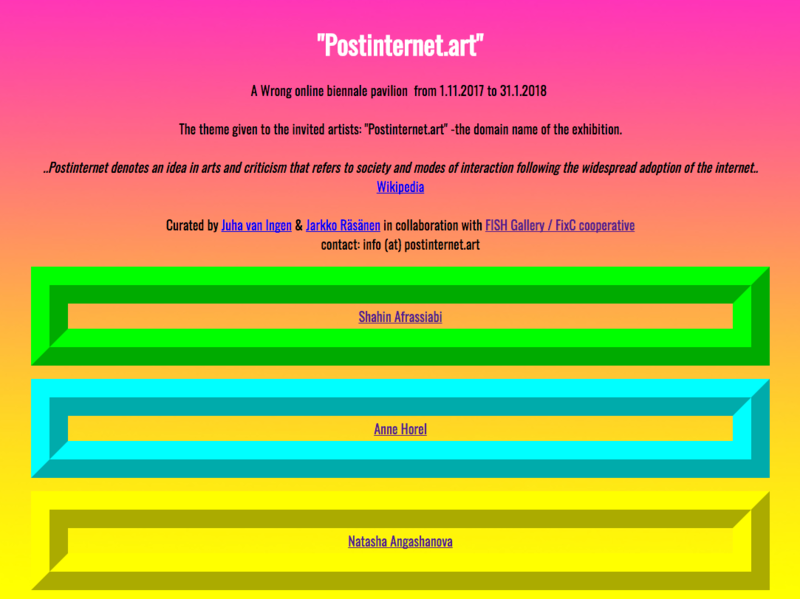 Postinternet.art pavilion explores the idea that arts refer to society and modes of interaction following the widespread adoption of the internet. This exhibition is curated by Juha van Ingen & Jarkko Räsänen in collaboration with the FISH Gallery / FixC cooperative. In it Gretta Louw is showing her work “Face-Swap Archive” as an exploration of the monstrous feeling proposed through algorithms. While most of the selfie apps play with our vanity, offering us more an attractive, likable version of ourselves, face-swap technology offers the opposite: a horrifying glimpse of ourselves distorted through an algorithmic lens. Homeostasis Lab was founded in Sao Paulo in the context of The Wrong Digital Art Biennale with unlimited submissions from around the world. Homeostasis Lab is a fertile ground for art and aims to be the biggest digital art exhibition ever. This exhibition is curated by Juha van Ingen & Jarkko Räsänen. 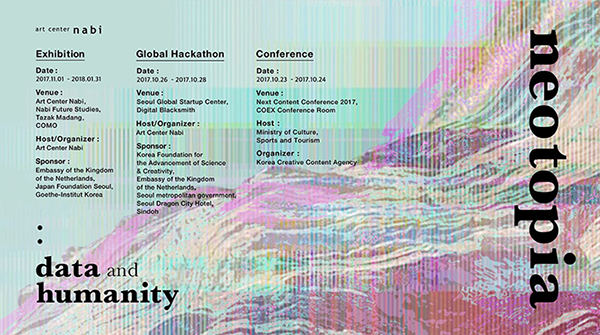 Lesia Vasylchenko presents in this pavilion “Waterfall 00:05:01”, a combination of video, data technology, and photography. It is a video shot of waterfall processing into a slit-scan image by using computer algorithms. 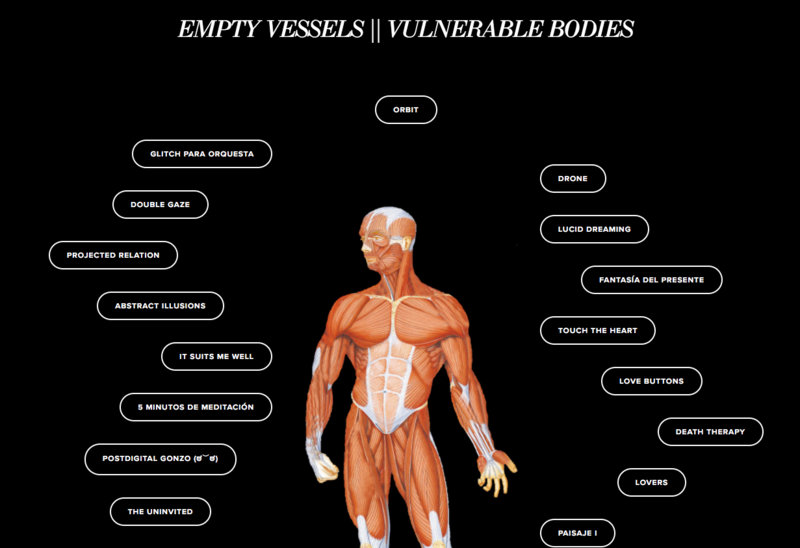 Empty Vessels, Vulnerable Bodies is a compilation of digital artworks which focuses on the body curated by [ANTI]MATERIA and Doreen A. Ríos. The body is here conceived as a generative being, as a transformative being, as a creative being, and as an abstract being. This exhibition explores the limits of representation, as well as the relation between artist and audience through a vessel (body) that can be possessed by both (indistinctly and without a defined timing) while simultaneously transformed and absorbed by the screen. Inspired by the classics of the late Renaissance and informed by androgyny, eroticism and traditional artworks, “Lovers” by Diogo de Tita creates a deep conversation about sensuality, the subtlety of the body and the relation between sculpture and digital environments.